HUDSON, NY, February 25, 2015 – Starting today, the National Young Farmers Coalition (NYFC) will release a video shorts mini-series documenting three different young female first-career dairy farmers, chronicling their experience “getting up to speed” and revealing why these women have chosen to start a seemingly impossible career. While the looming farmer crisis in the U.S. is gaining critical attention, what is likely lesser-known is that dairy farming has been fading from among communities where it was most prominent for generations – like New England. The video series is an extension of the Coalition’s “Bootstrap Blogger” series, a partnership between NYFC and Stonyfield Farms. While there has been a resurgence of interest in farming – and while the nation needs young farmers more than ever before, those who do want to make farming their career face enormous hurdles. Even more, the most common area that new farmers enter is vegetable farming. Dairy farming has a much higher bar for entry because they need much more land and equipment than a vegetable or small livestock operation. As aging farmers retire and many of the remaining dairies consolidate, we’re risking the loss of this industry in the Northeast. Dairy drives the agricultural economy in the Northeast, so fewer dairies means less business for the feed mills and tractor supply stores that support them. For instance, dairy represents 70% of agricultural sales in Vermont, so a decline in dairy also threatens the viability of the agricultural economy as a whole. NYFC partnered with Stonyfield to select five young dairy farmers, all women, to be Bootstrap Bloggers. These farmers chronicled their experiences starting a new farm business each month on youngfarmers.org. From seeds and breeds, to tools and equipment, to why they decided to become farmers, the series’ posts are filled with inspiration and encouragement to young people considering farming careers. Three of them produced a short video, enabling lovers of all things dairy to see their experiences firsthand. The videos will be released each day starting today and can be watched at: https://www.youngfarmers.org/video/. Chaseholm Farm Creamery, Pine Planes, NY: Sarah Chase is a third-generation dairy farmer. With her brother as a partner, the two continue the family tradition of heritage farmstead cheeses that are known throughout the region. In addition, Sarah is transitioning her family’s traditional, multi-generational dairy to a 100% grass-fed herd. Clover Mead Farm, Keeseville, NY: Ashlee Kleinhammer saw the opportunity to takeover an existing business and has been apprenticing with the farm’s retiring former owner, and is working to reintroduce small-scale, premium dairy products including aged cheeses, yogurts and raw milk to the eastern Adironack community. The Golden Yoke, St. Ignatius, MT: The Golden Yoke was founded in partnership by Laura Ginsburg and Connie Surber with the help of a program that enabled them to find 40 acres of land to farm. The farm is part of a new wave of small-scale, grass-fed dairy in Montana. When they started the farm in 2013, not only was the farm the first new dairy in many years, but it was also the only grass-based, seasonal dairy in the state. Watching these courageous young women tend to their herds and manage farm business is the opposite of what most people see in their daily lives. It’s a warm reminder of where and how our food is made – and illustrates the difference between industrial agriculture and the farmers who have a true love for the land and the animals they raise. As the average age of farmers continues to rise (now 58), Secretary of Agriculture, Tom Vilsack, is calling for 100,000 new farmers in the United States. 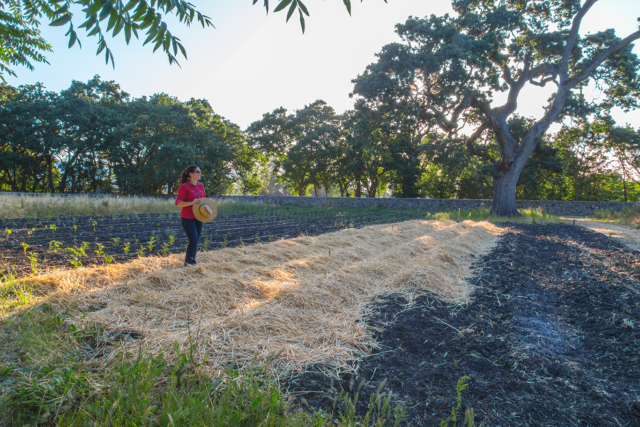 Farmers steward nearly one billion acres of land, which is about half of the land area of the U.S. Sixty-three percent of that land is operated by farmers 55 and older. NYFC helps young farmers successfully build a career in farming through policy change, technical support and network building. The National Young Farmers Coalition represents, mobilizes, and engages young farmers to ensure their success. We envision a country where young people who are willing to work, get trained and take a little risk can support themselves and their families in farming.